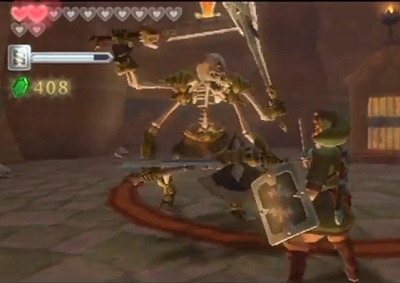 The Stalmaster (also called Master Stalfos) is a armored Stalfos (Undead Skeleton Enemy) with four arms and a mini boss in the Ancient Cistern and Sky Keep dungeons of The Legend Of Zelda: Skyward Sword. Siga4BDN from the UK drew our first submission of the Stalmaster and had quite some problems finding good references for him. The submitted illustration which you see to the right is actually his 4th version. In the end the Zelda: Hyrule Historia art book was used for reference art. 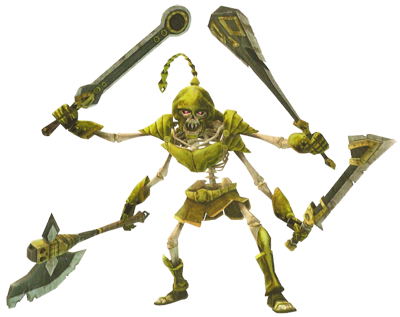 The four arms and the third eye of the Stallmaster are probably based on the indian religion Hindu and its deities Shiva and Kali. 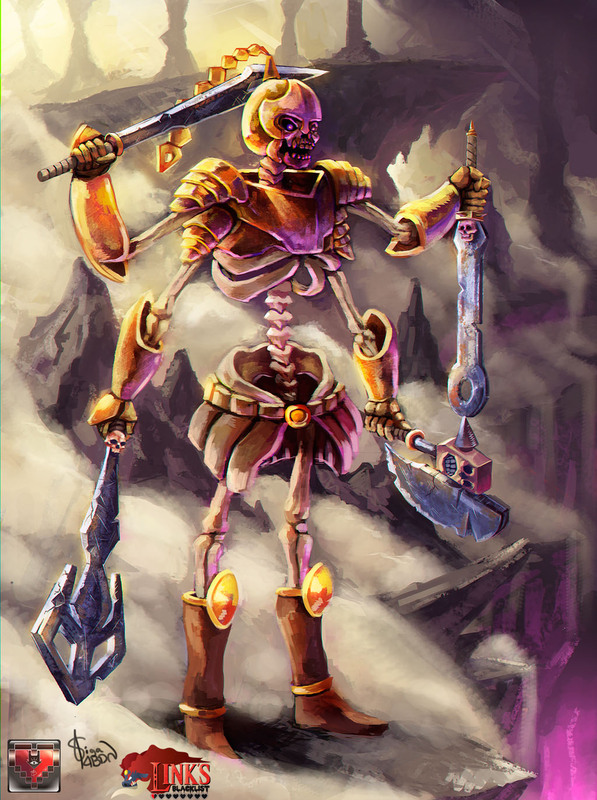 This would fit to other references made to the indian religion in the Ancient Cistern dungeon.